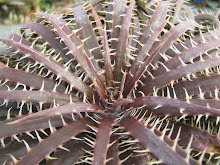 Brittle Star never ever shoots! 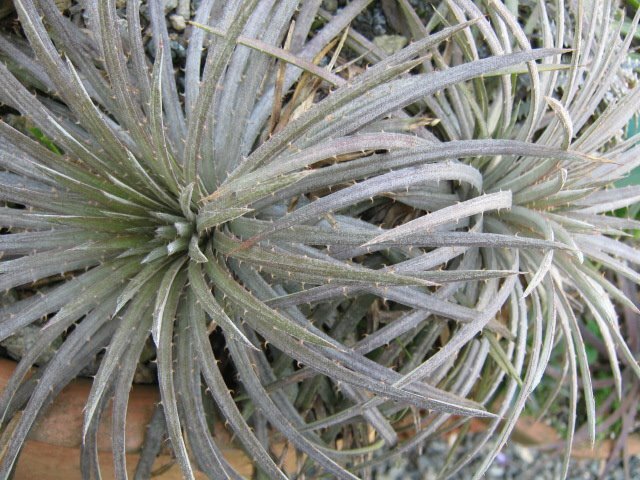 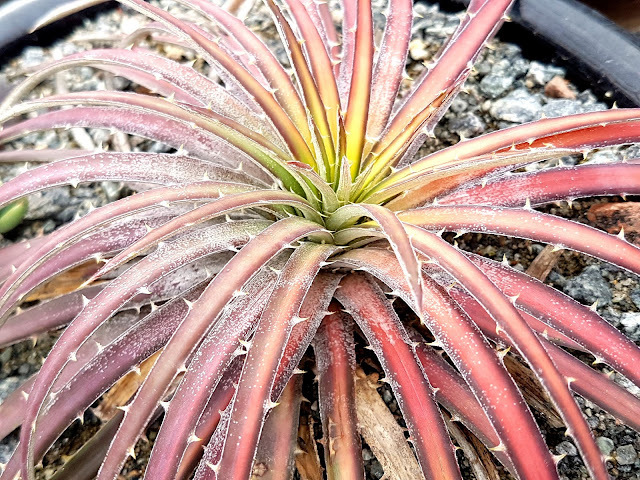 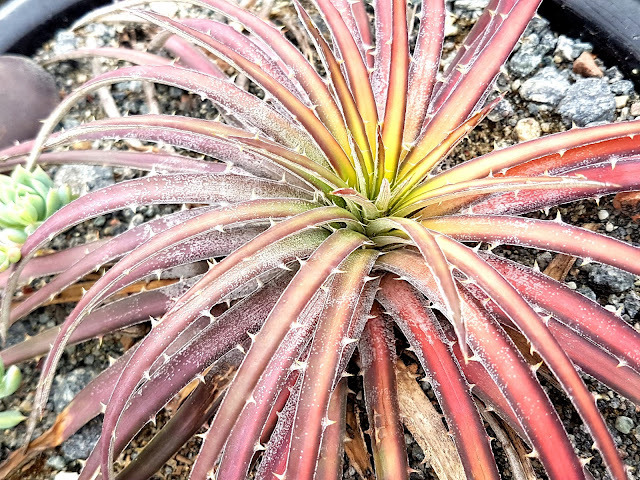 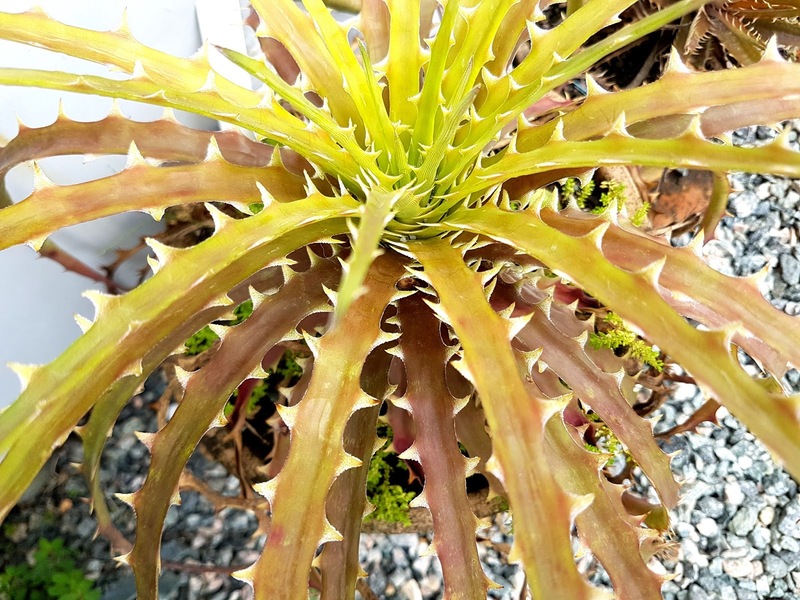 One have to rely on splitting heads to make a new plant. 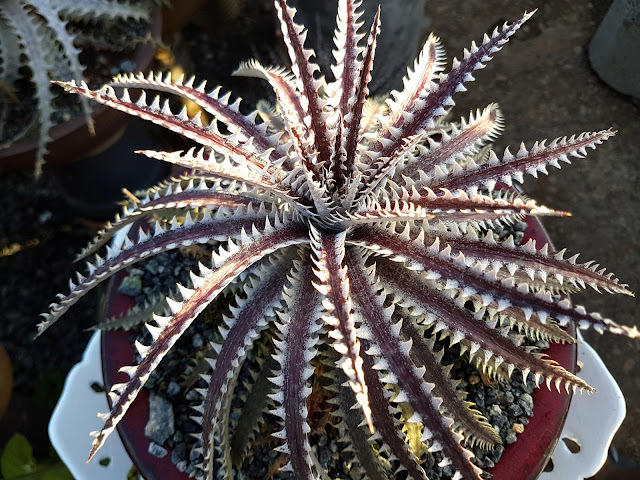 It just never shoots, hence being rare. 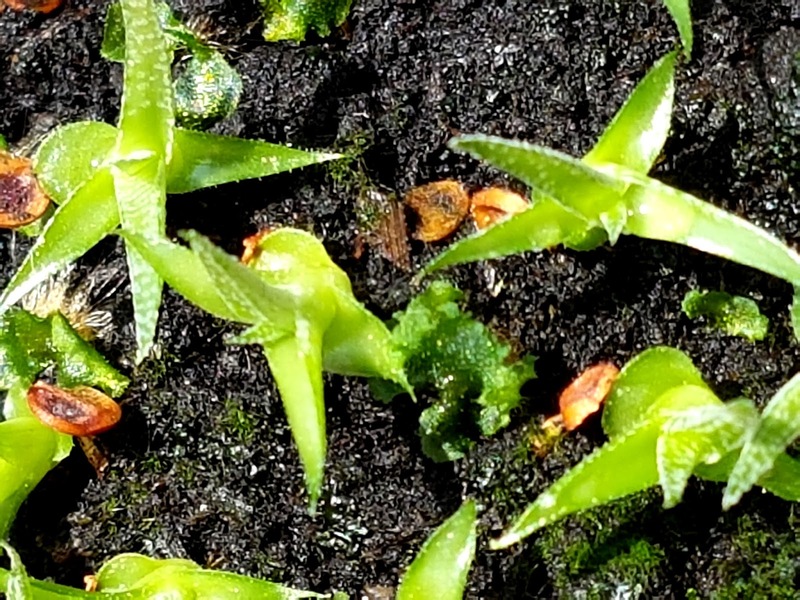 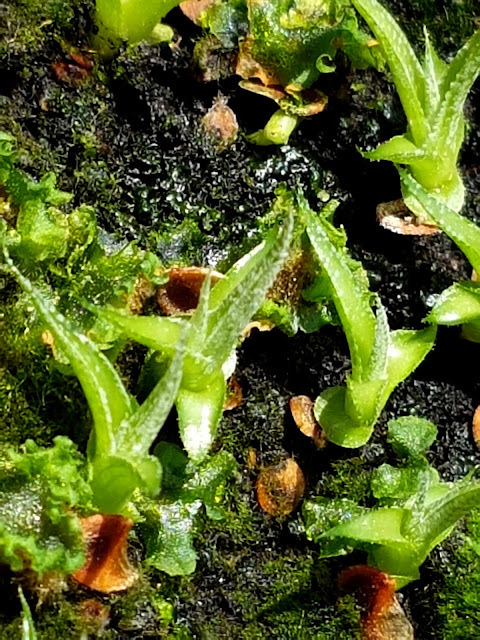 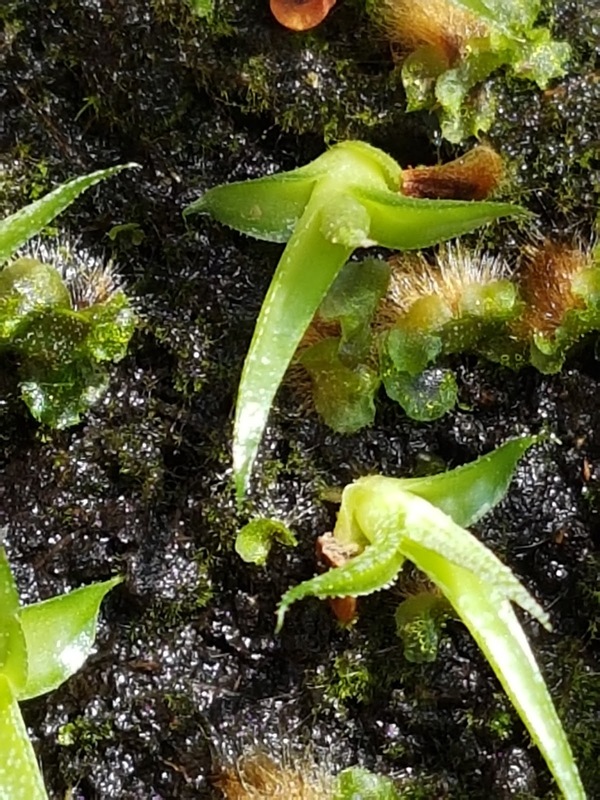 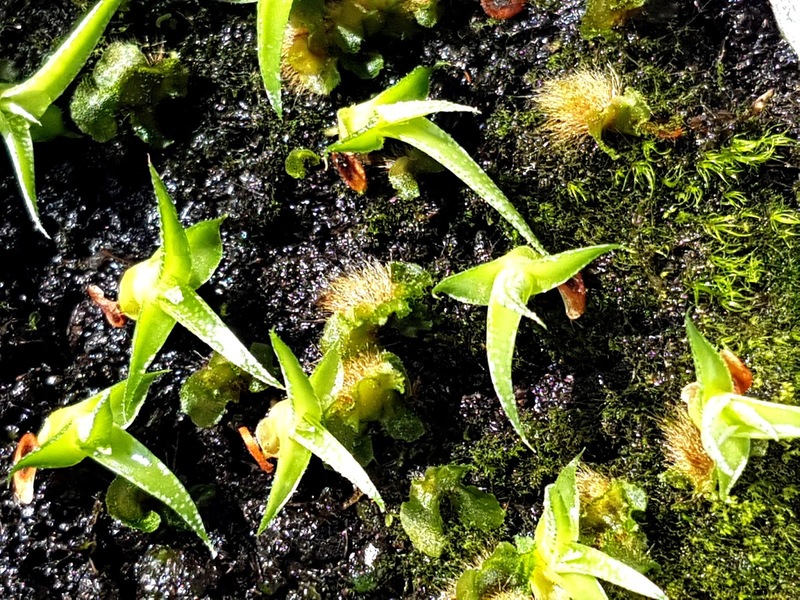 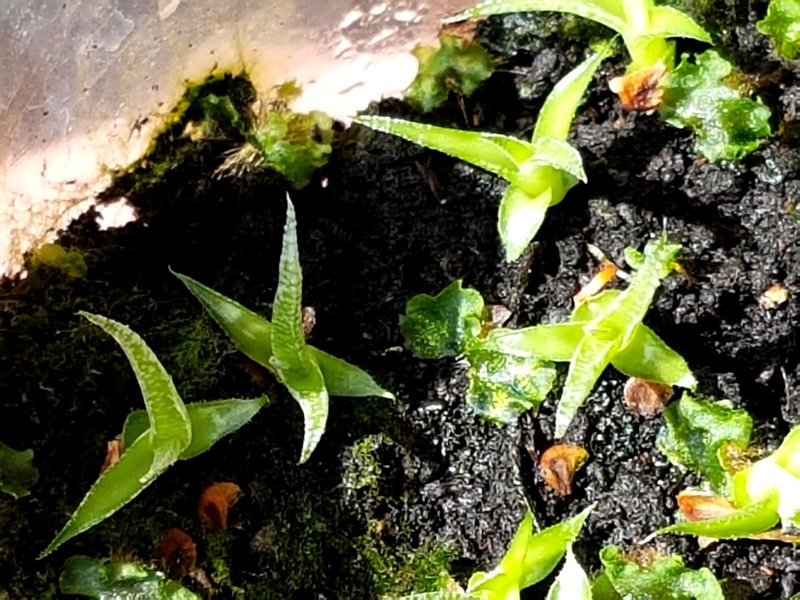 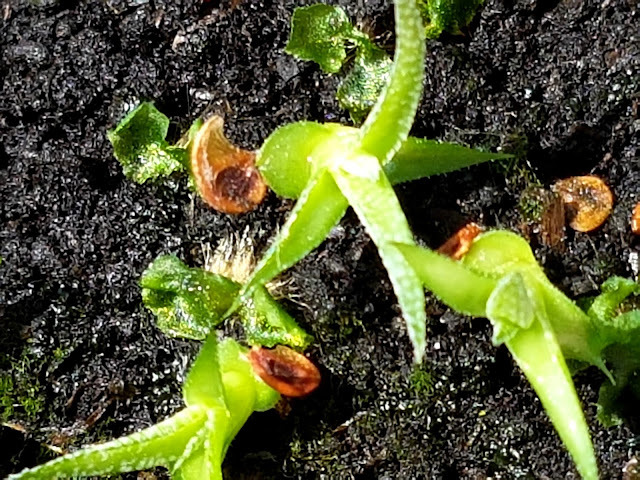 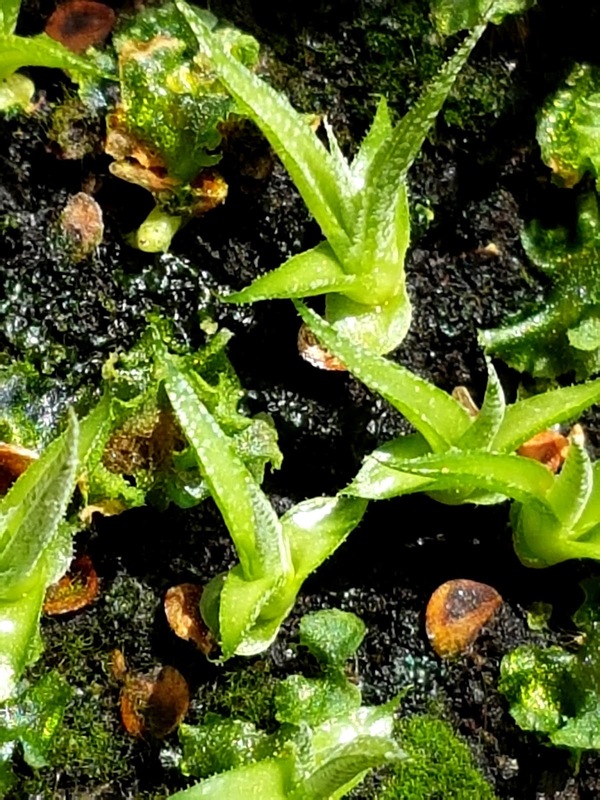 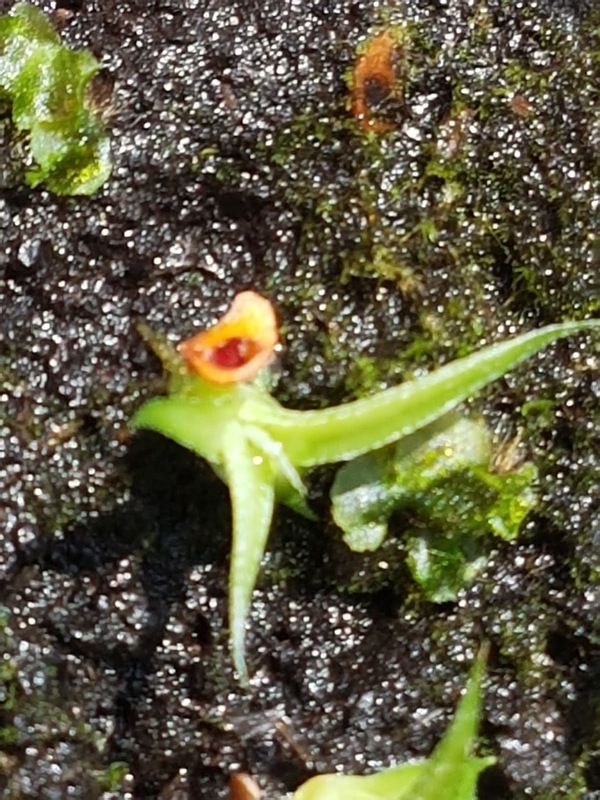 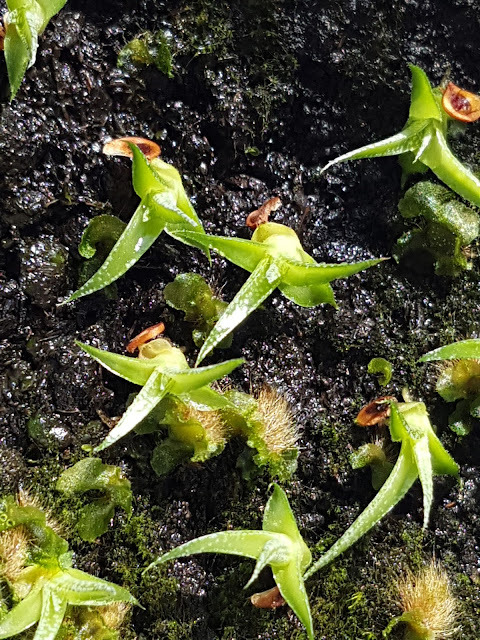 Maybe it is well worth to try a micro propagation. 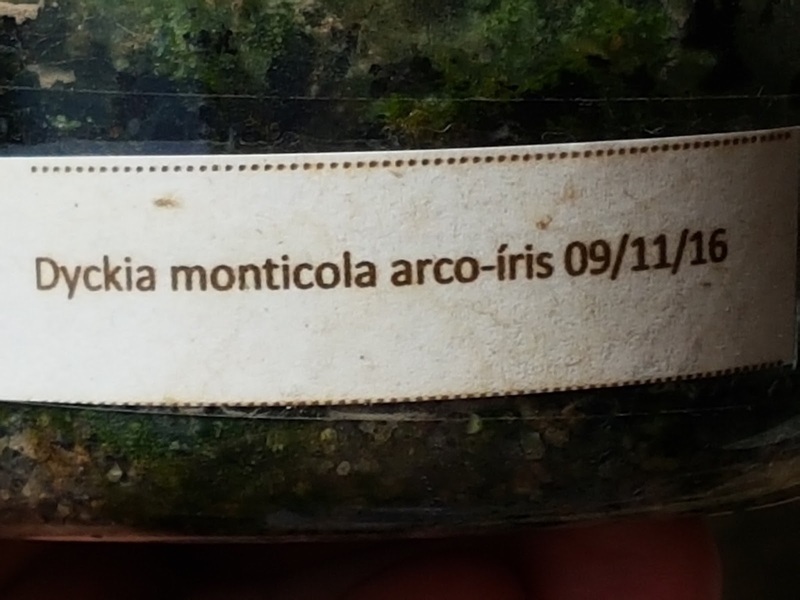 but I can see something quite special in there. 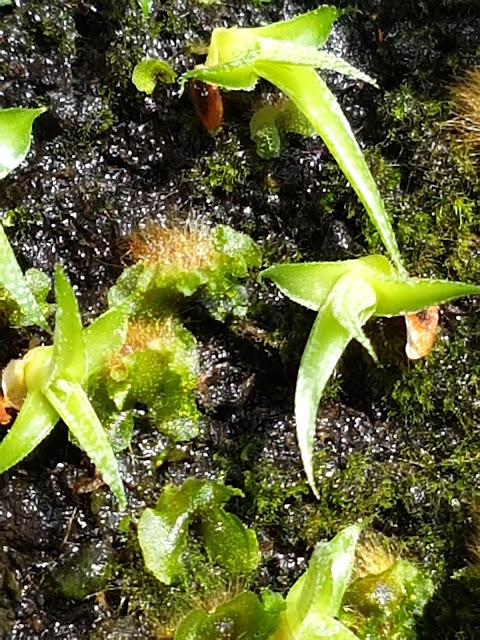 Those comb like seedlinga arte young platycerium ferns. 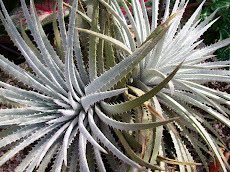 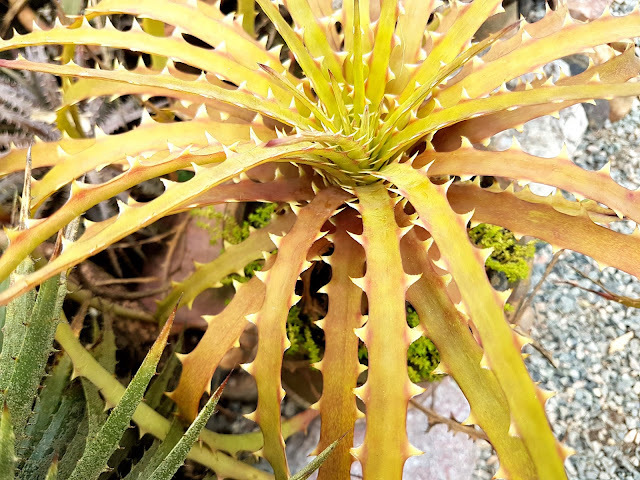 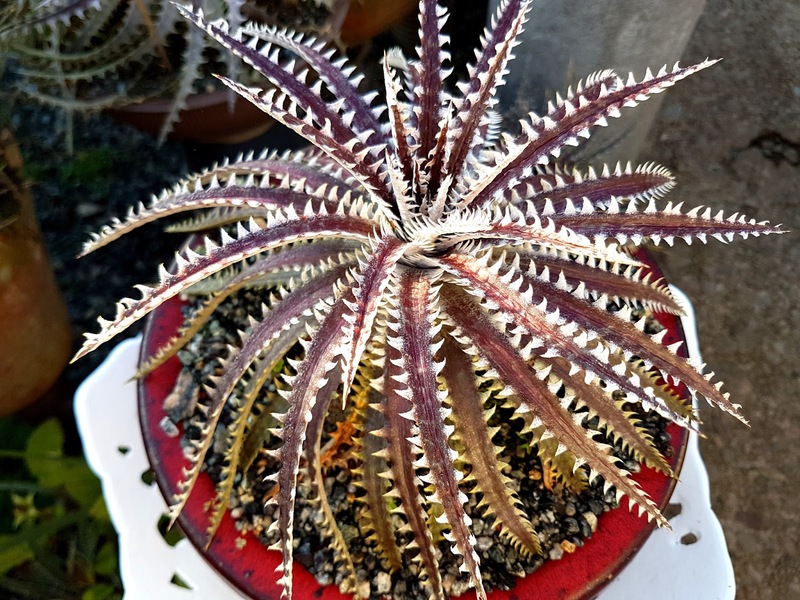 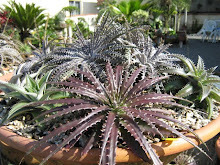 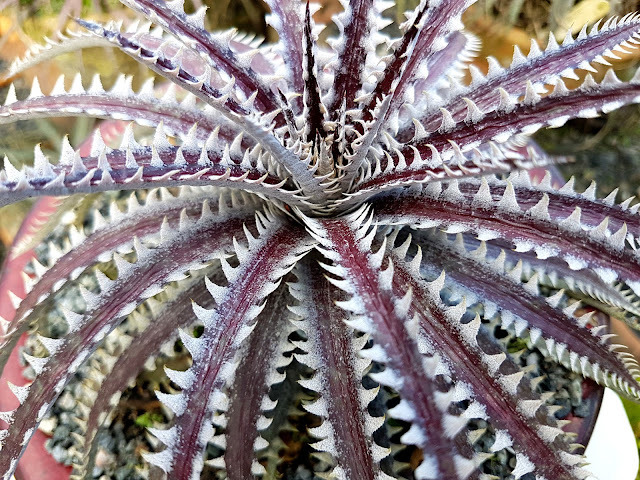 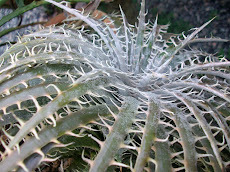 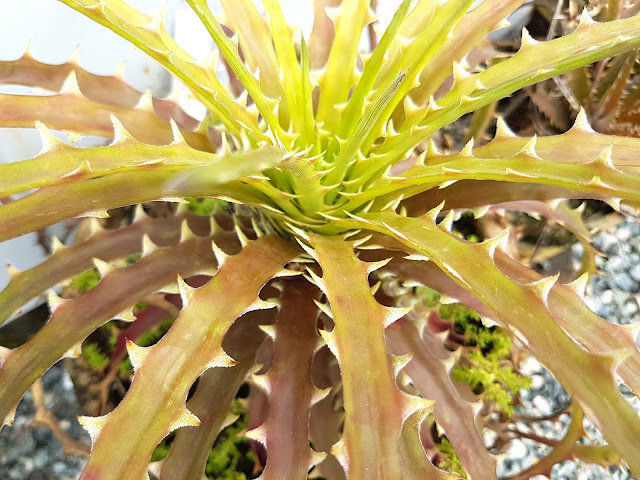 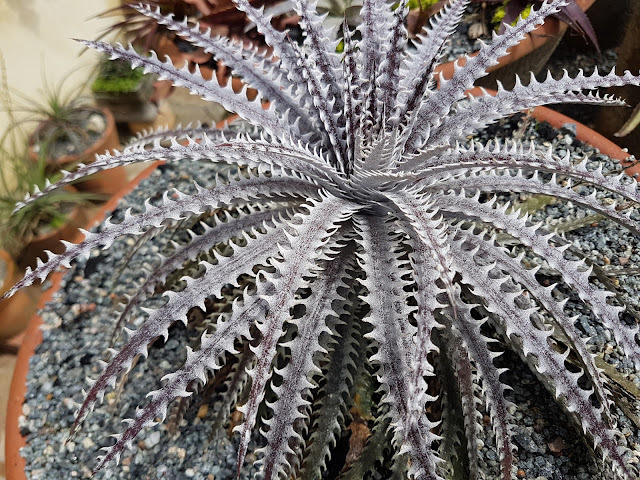 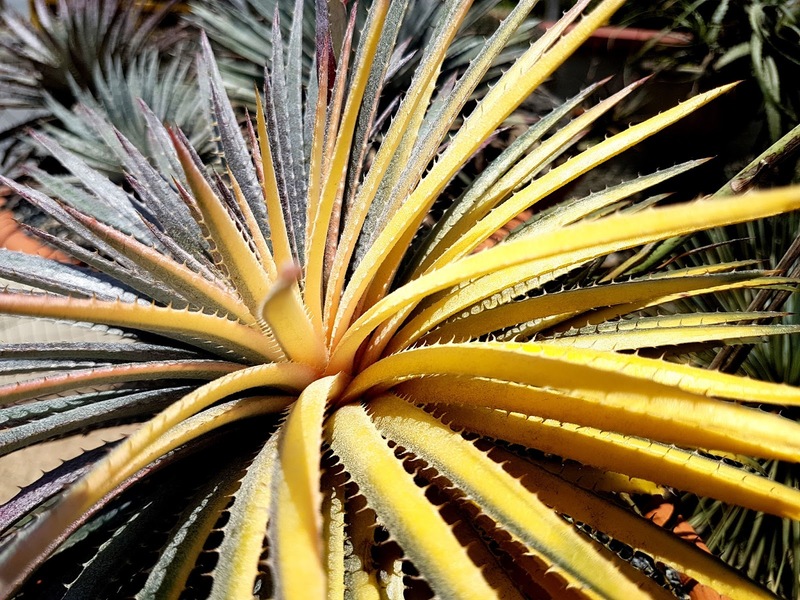 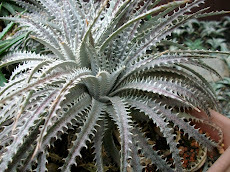 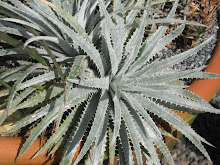 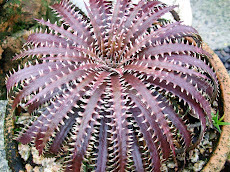 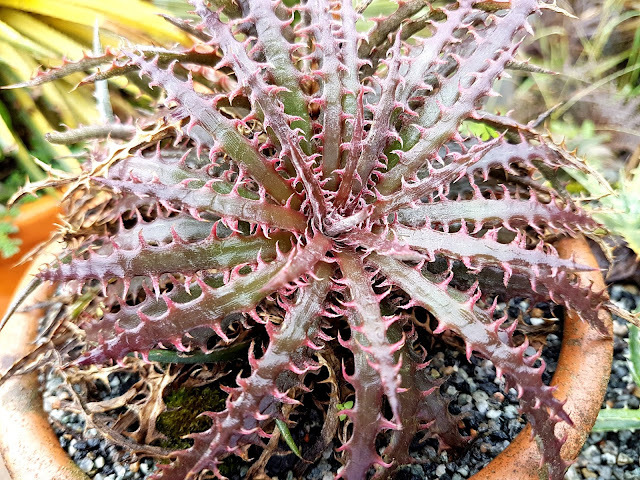 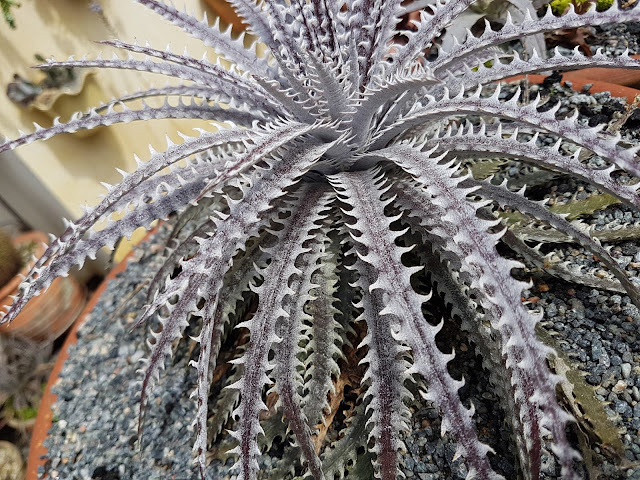 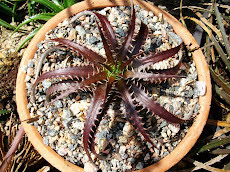 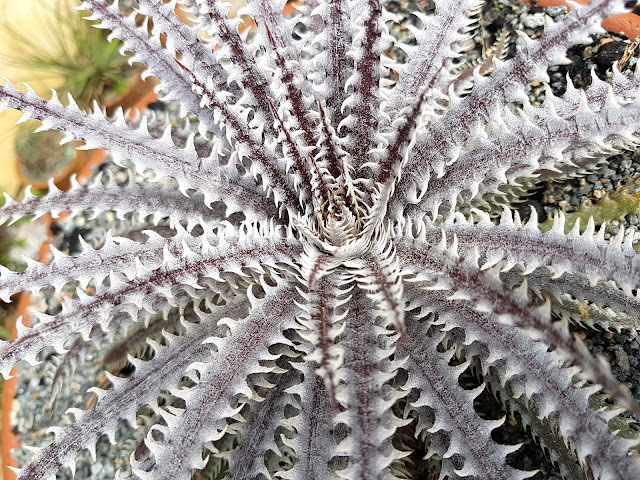 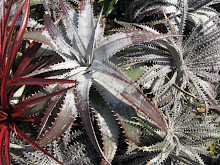 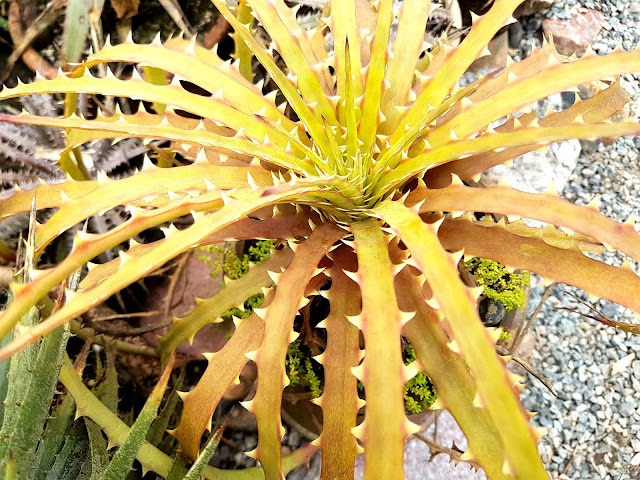 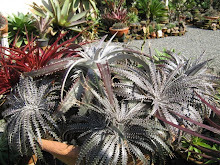 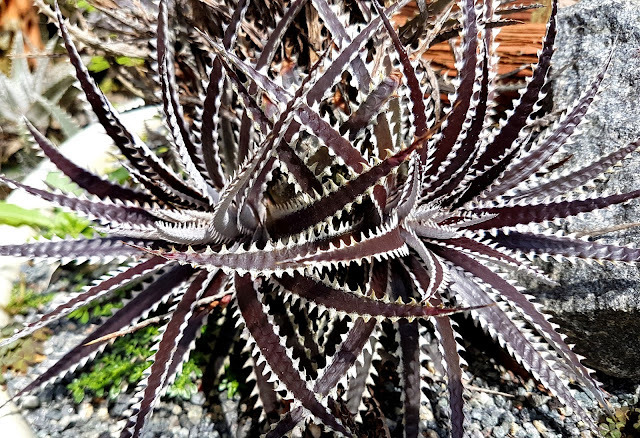 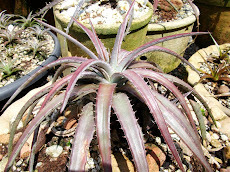 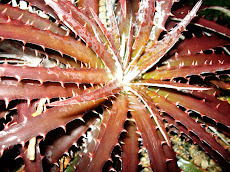 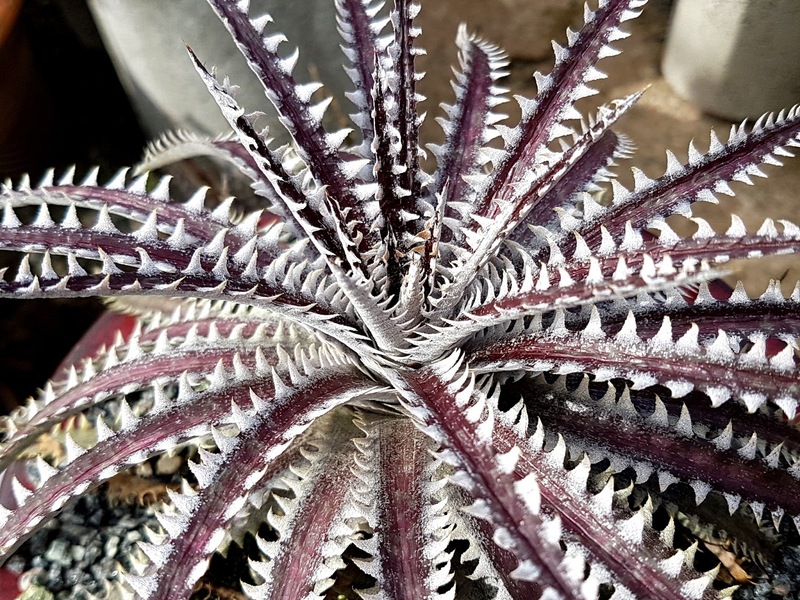 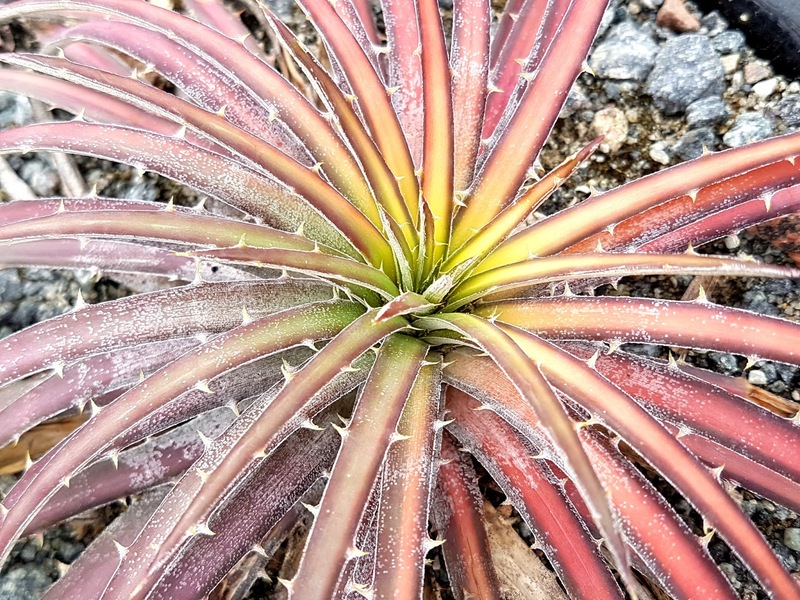 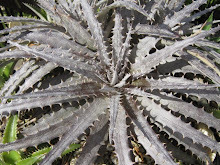 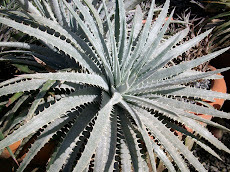 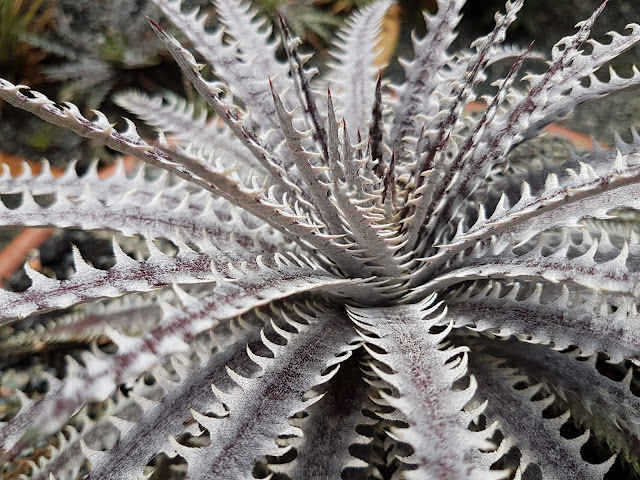 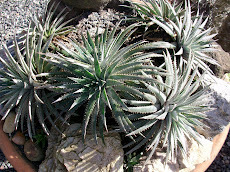 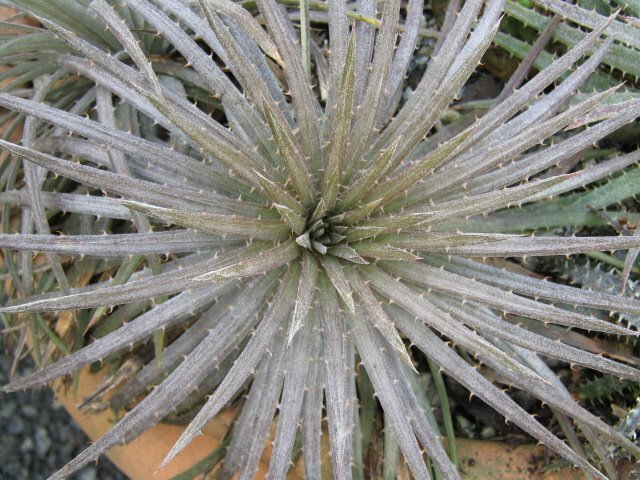 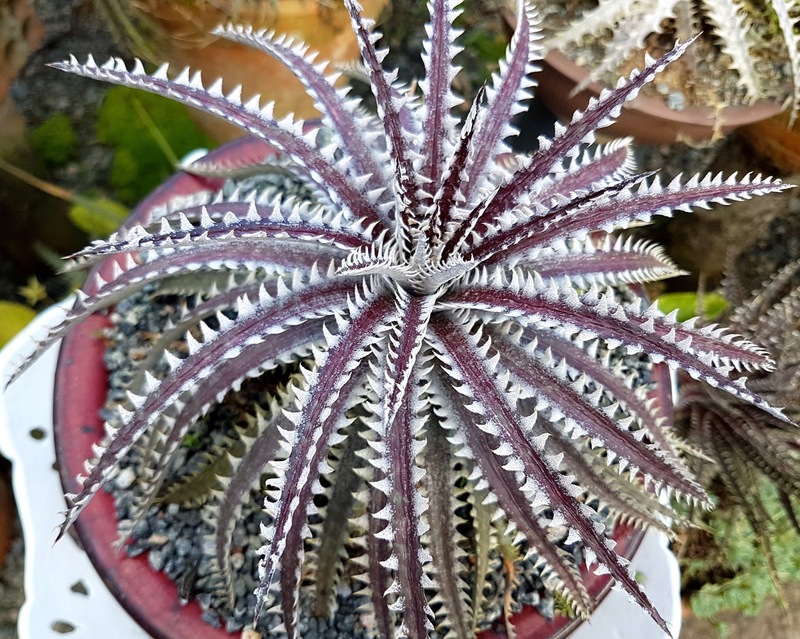 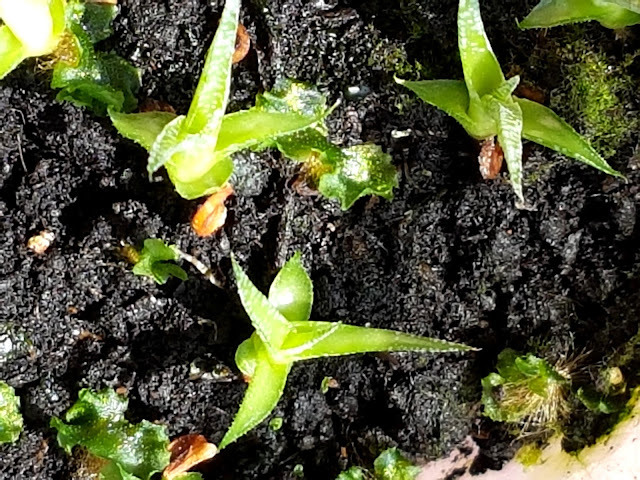 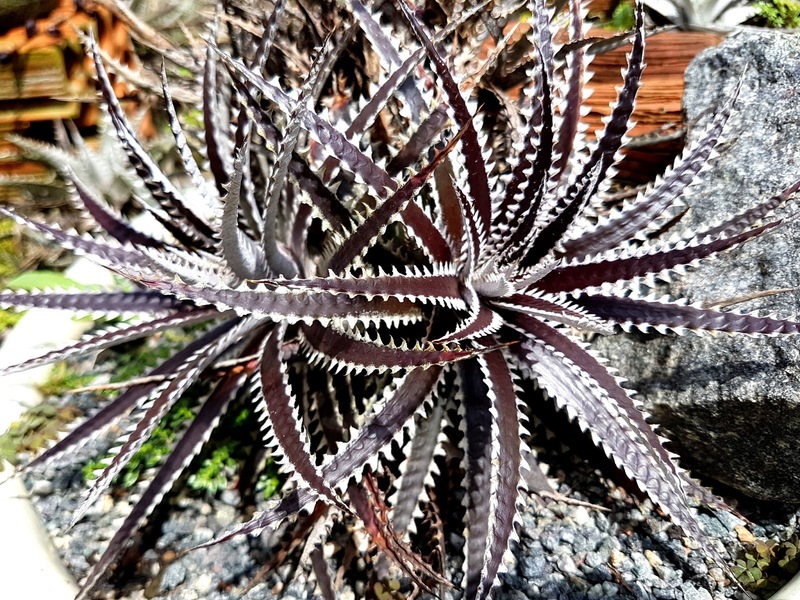 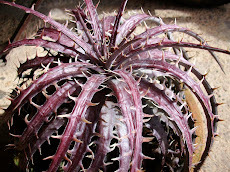 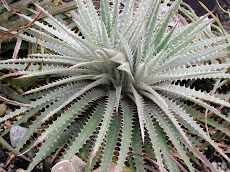 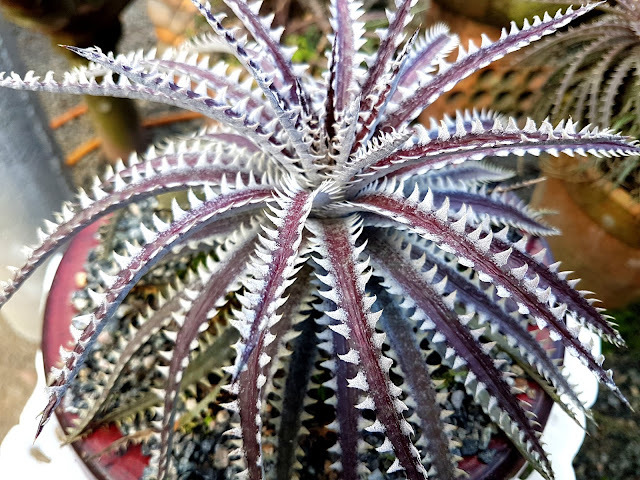 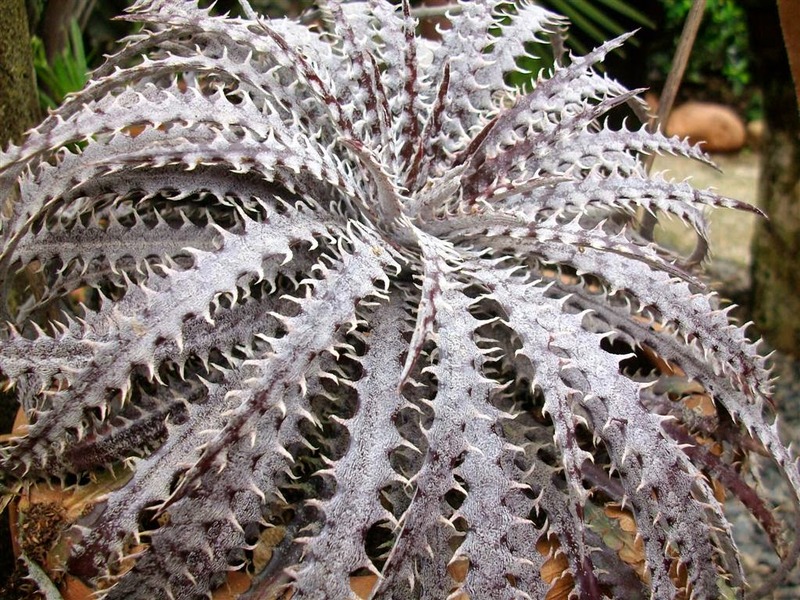 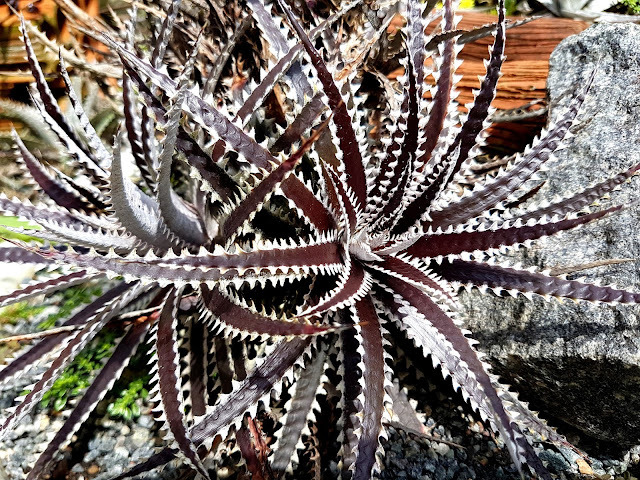 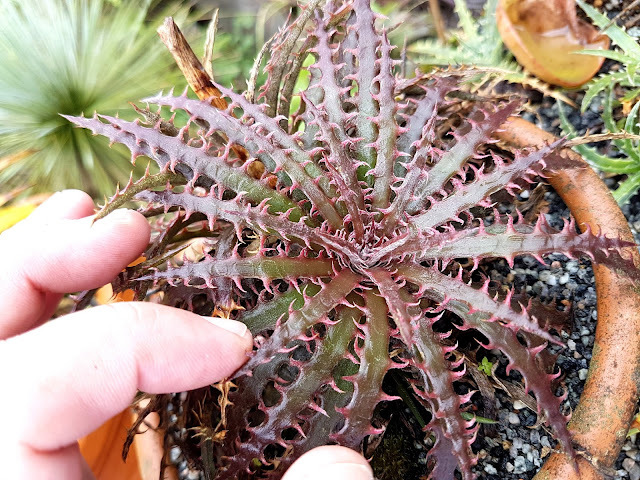 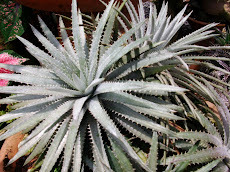 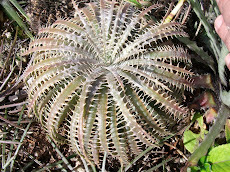 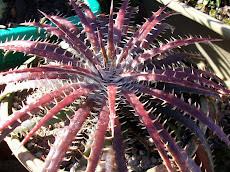 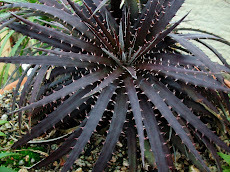 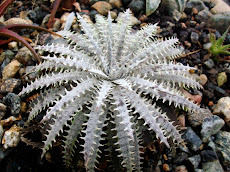 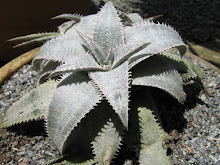 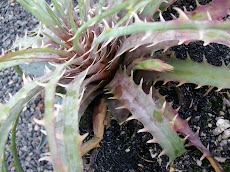 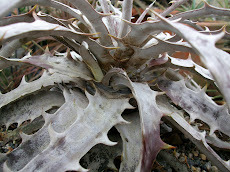 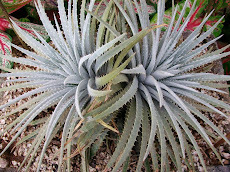 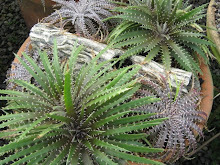 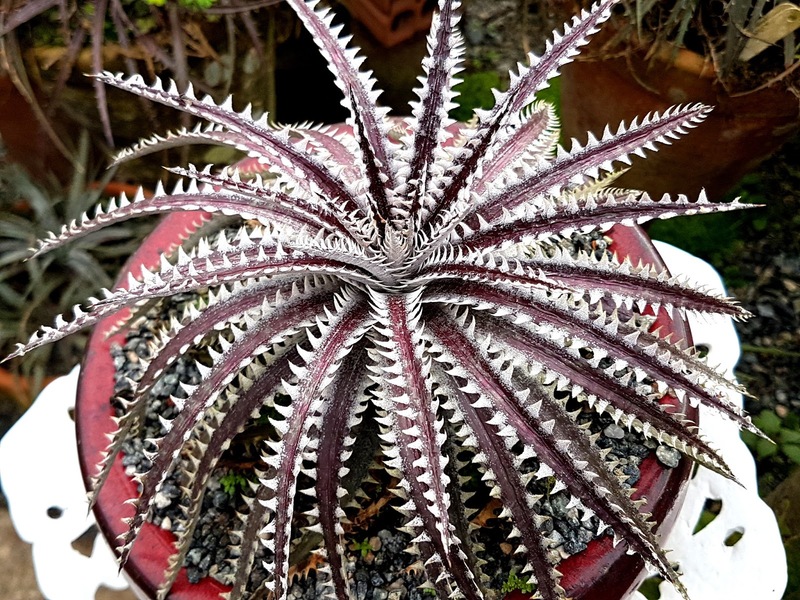 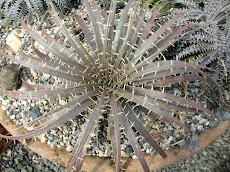 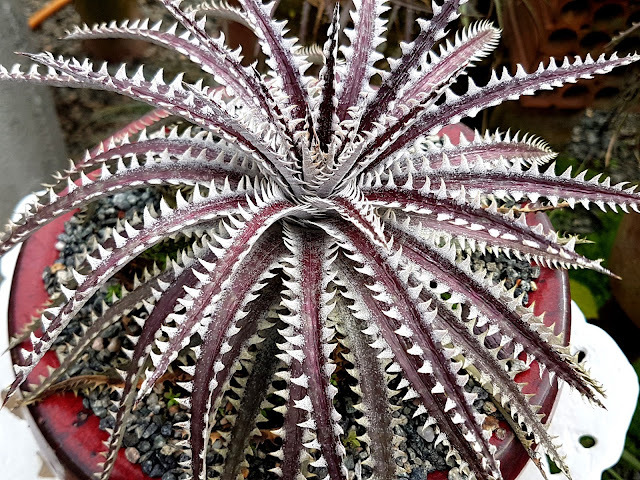 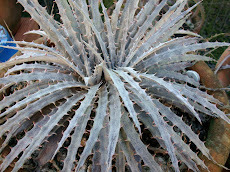 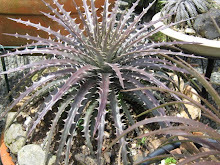 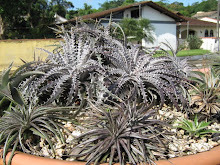 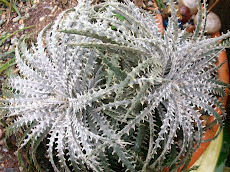 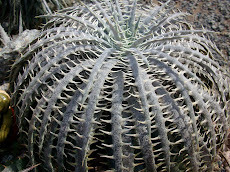 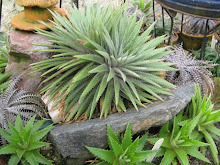 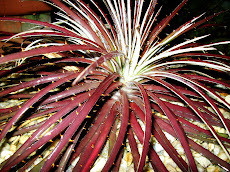 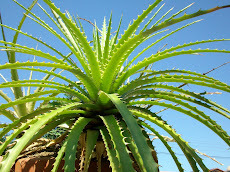 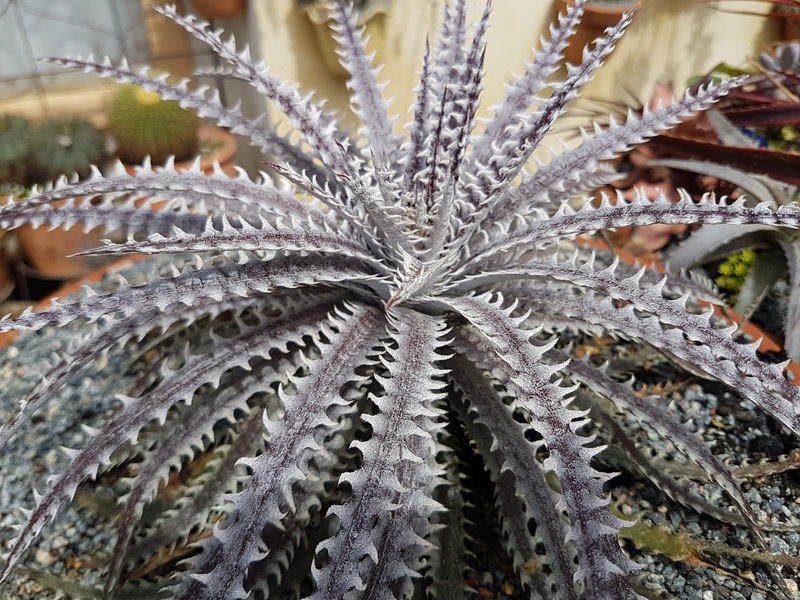 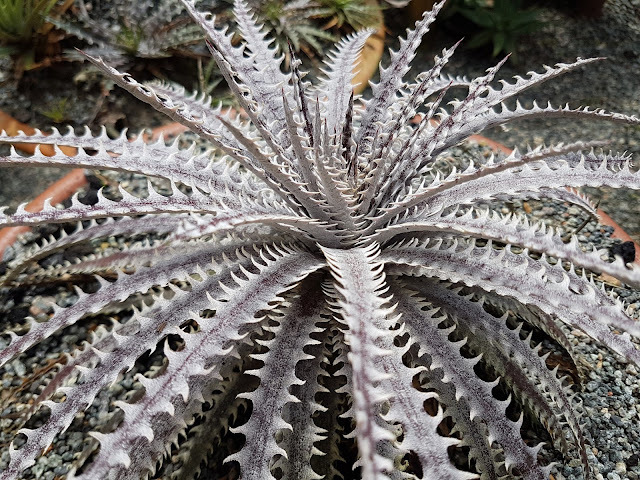 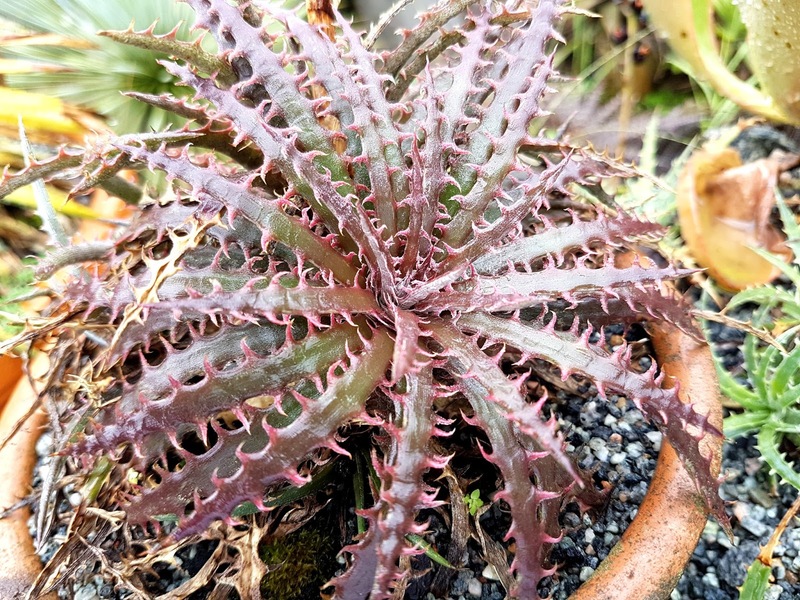 Dyckia dawsoni-dawsonii a mianiature cultivar. 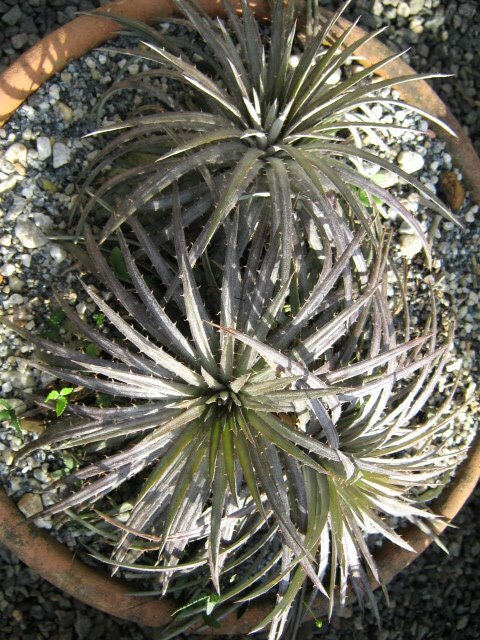 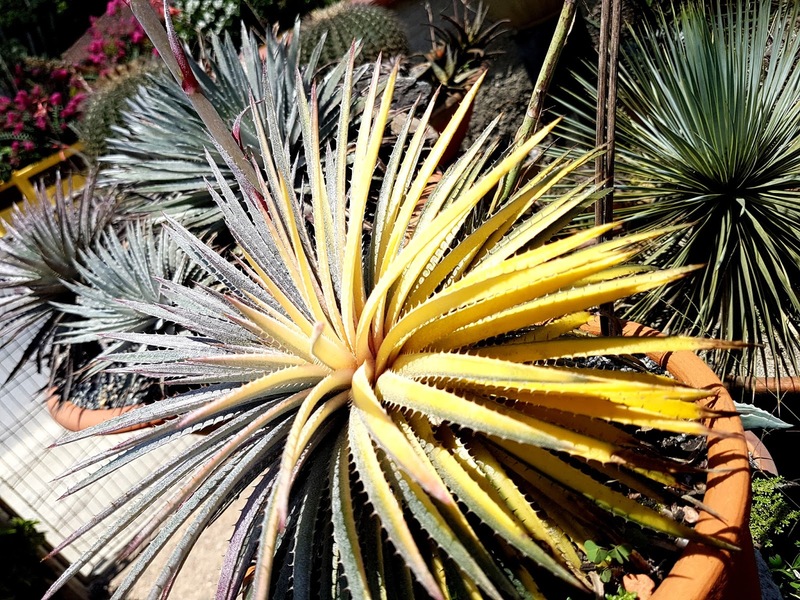 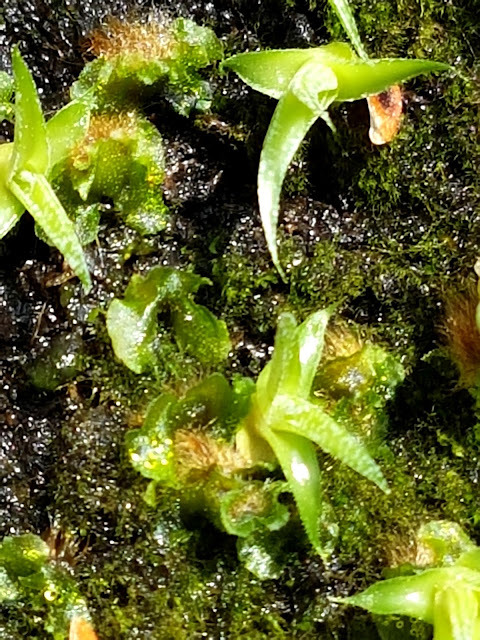 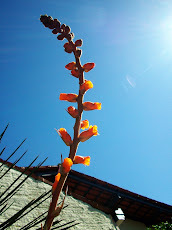 Yes, an adult plant that has flowered three times. 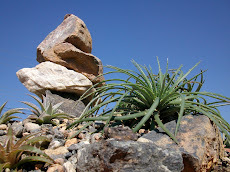 It lives on the steepest and most abrupt rock wall of Dom Bosco Hill. 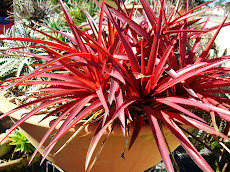 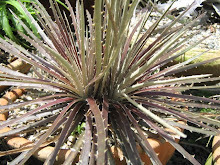 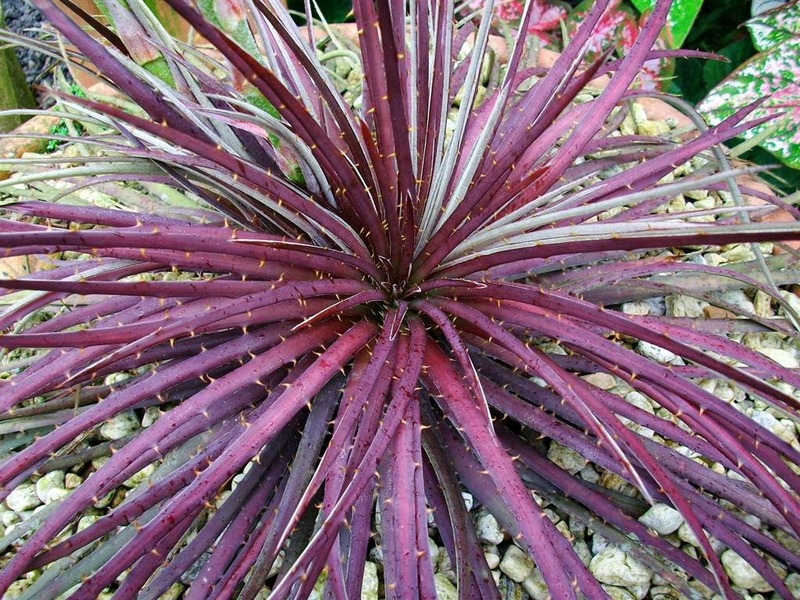 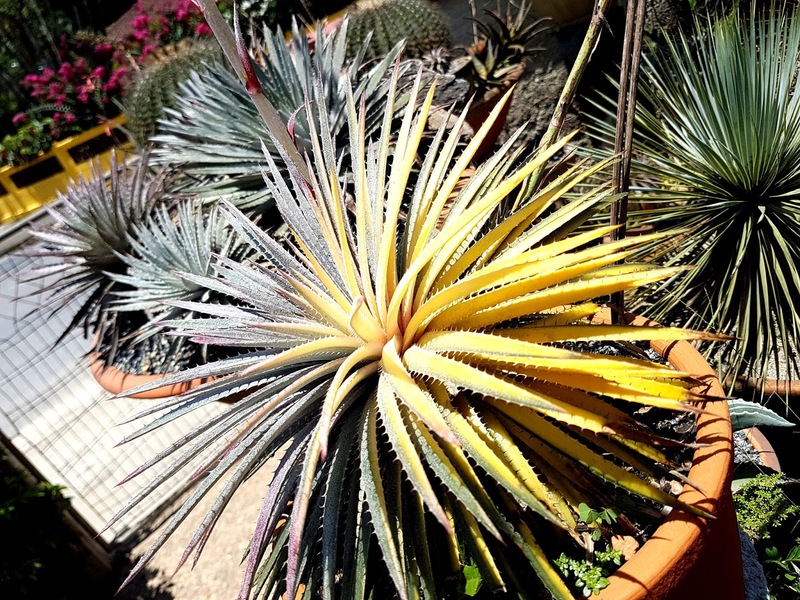 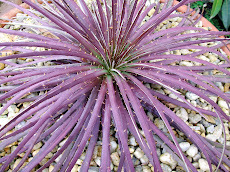 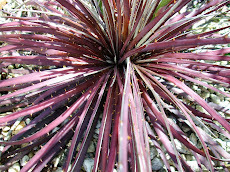 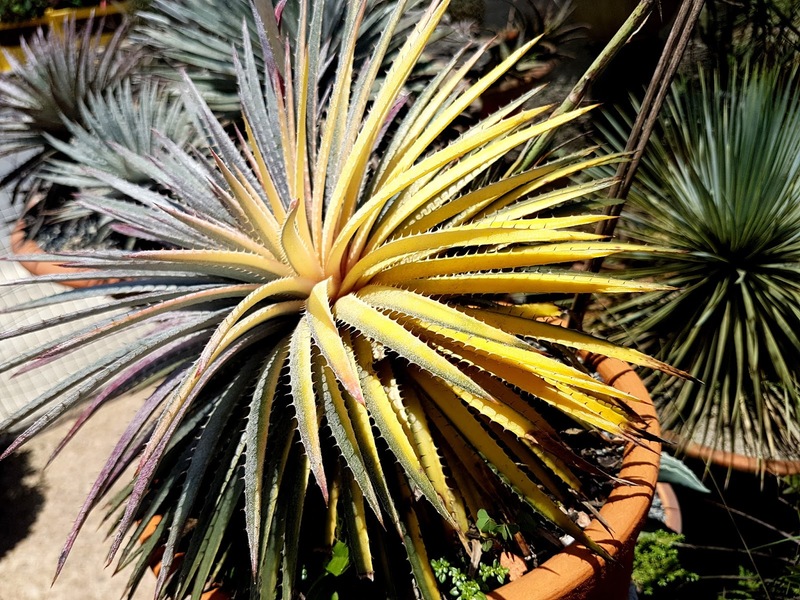 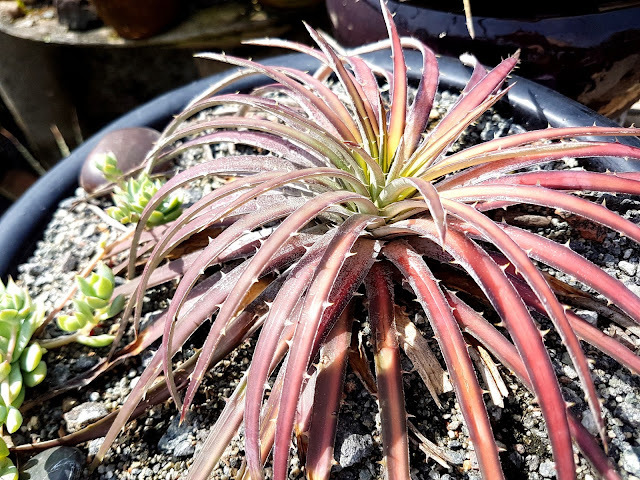 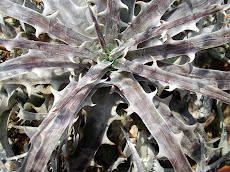 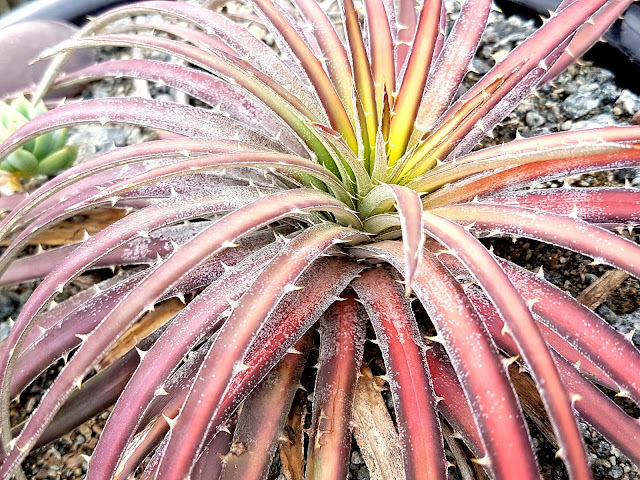 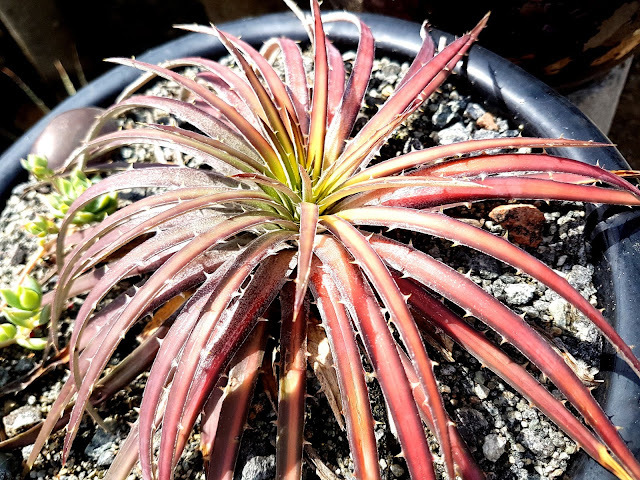 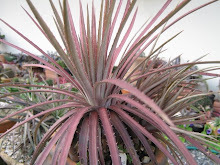 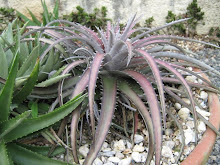 Notice its colors, it does look like a Hechtia.